Our lives are defined by chocolate! We transfer your dream graphics into a work of art onto Couverture/Belgian chocolate in such a way that your event becomes a benchmark for the rest of your life. 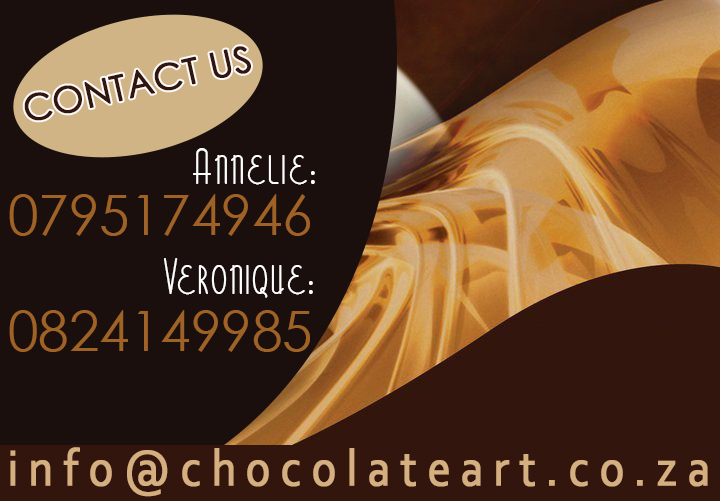 Our enthusiastic chocoholic team will print and emboss your artwork on chocolate with chocolate. 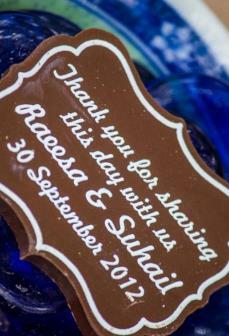 We provide personalised, embossed chocolates for weddings, birthdays, corporate and hospitality clients. We can even print your business card on chocolate, or what about printing and embossing your QR code on chocolate . No more paper or cards lying around! Our Chocolate company is based in Gauteng in South Africa so let us put your name on every-one’s lips with ersonalised chocolates from Chocolate Art on almost any shape chocolate or colour for any event. Our process is patent protected and 100% chocolate. This is truly a chocolate work of art.